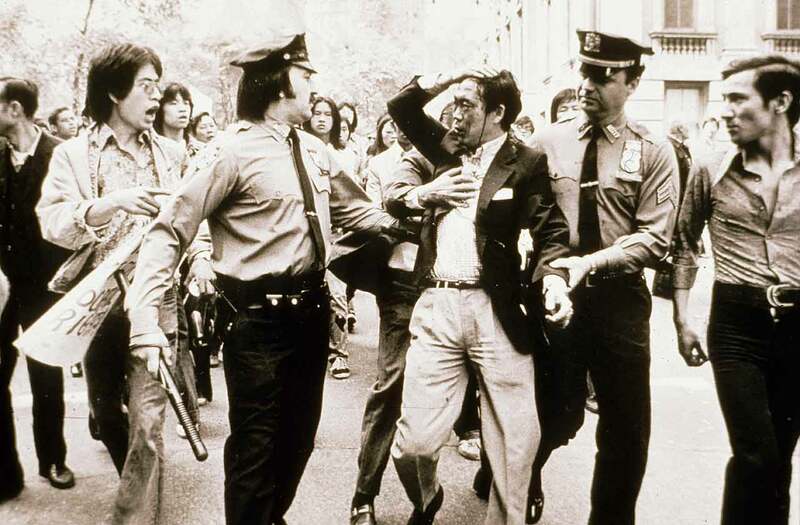 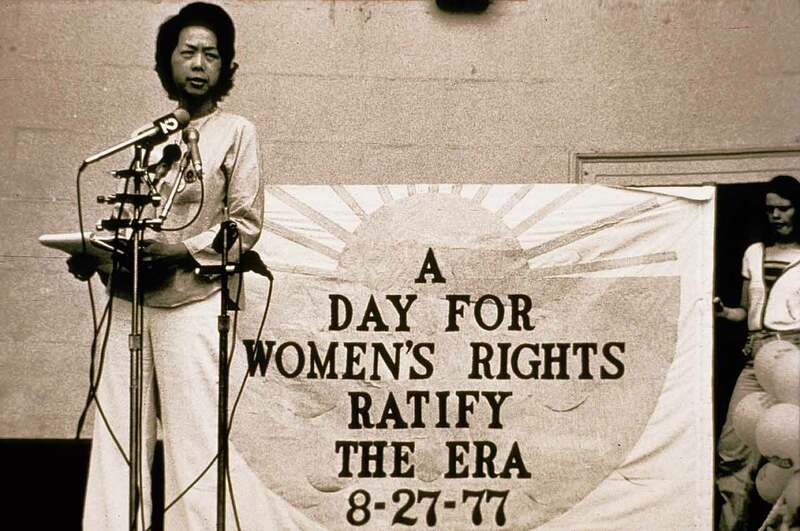 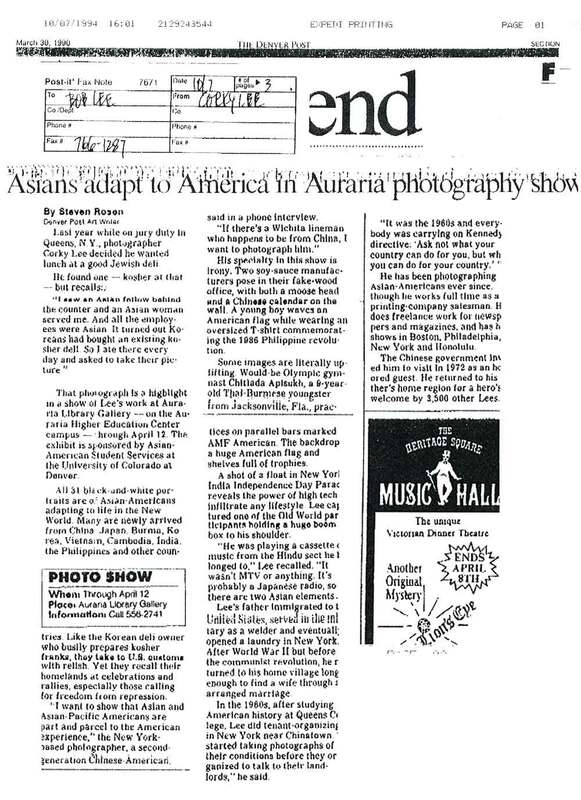 Exhibition postcard for "Uniquely Asian Coincidentally American" at Office of the Manhattan Borough President David Dinkins / Art Gallery, New York City, from May 2-27, 1988. 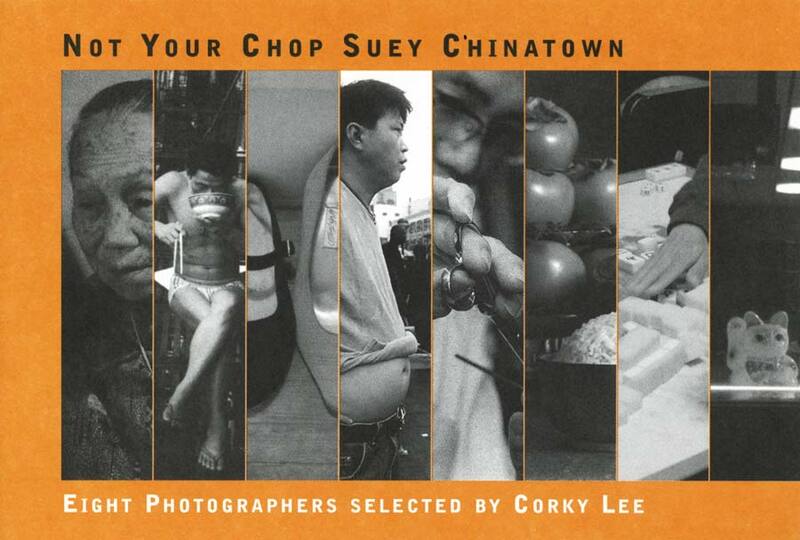 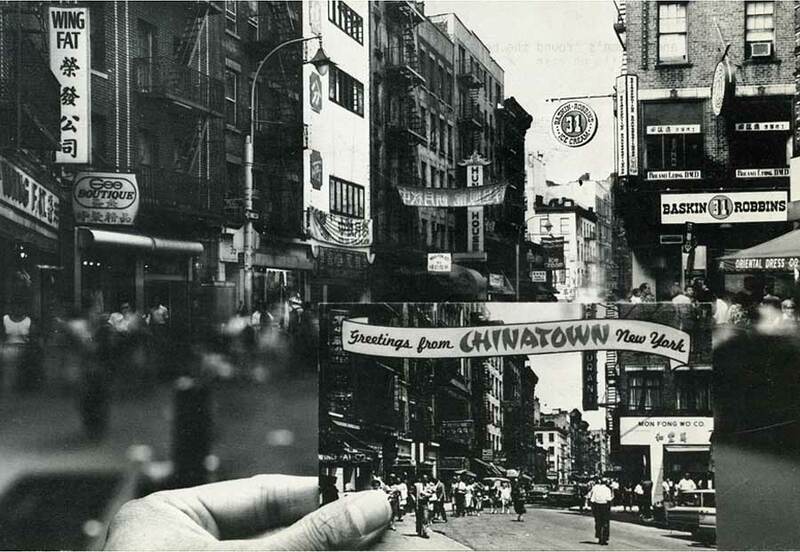 Exhibition postcard for "SOLO in SOHO a la Chinatown: Photographs of Chinese in America 1974-1989" at Gallery 456, New York City, from Oct. 6-Nov. 11, 1989. 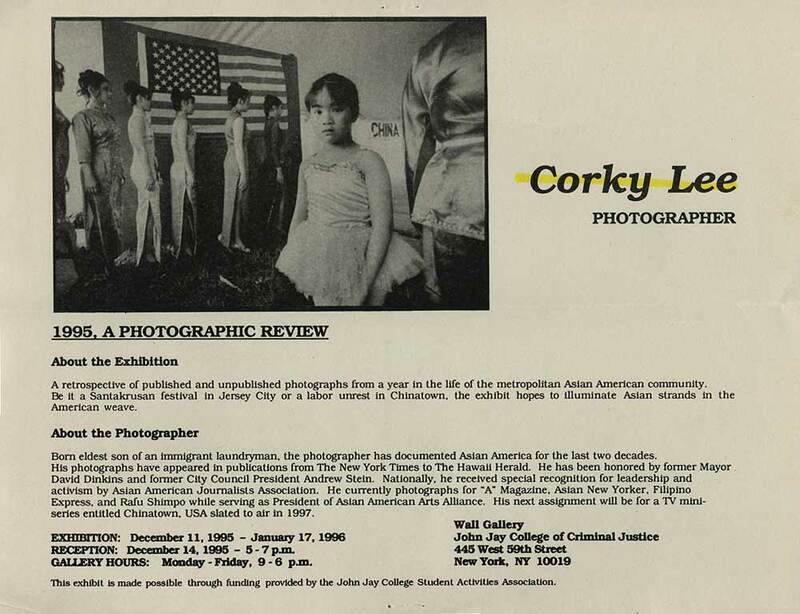 Exhibition flyer for "1995, A Photographic Review: Corky Lee" at Wall Gallery, John Jay College of Criminal Justice, New York City, from Dec. 11, 1995-Jan. 17, 1996. 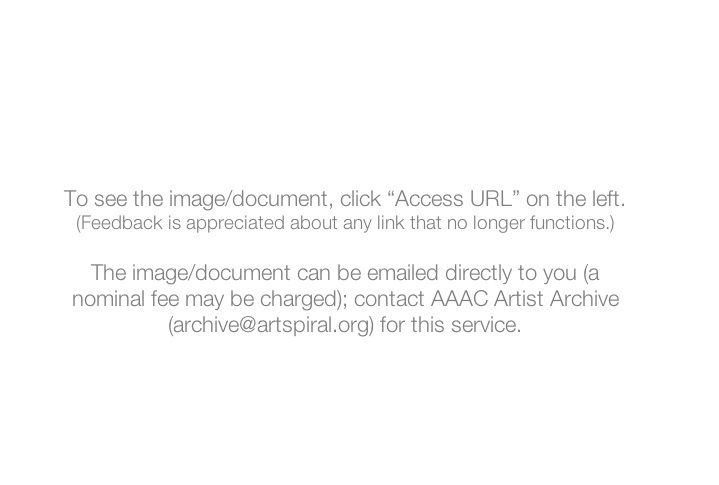 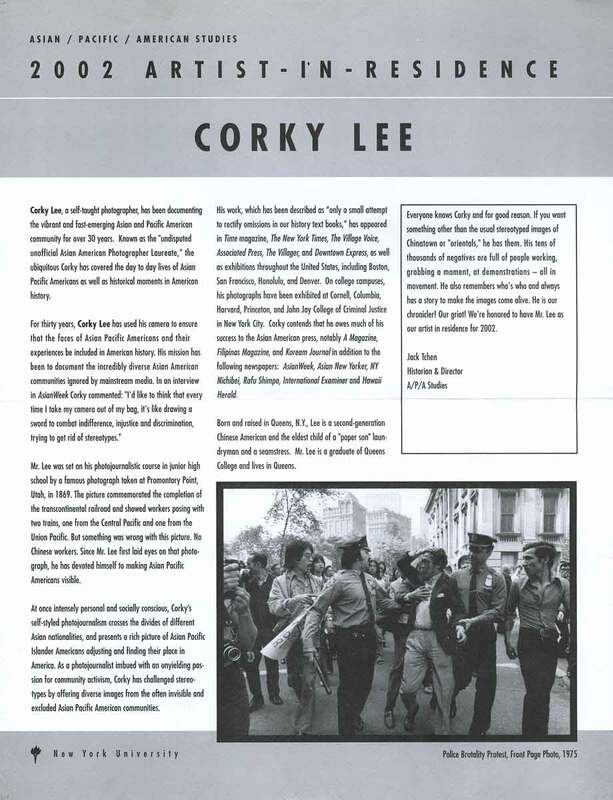 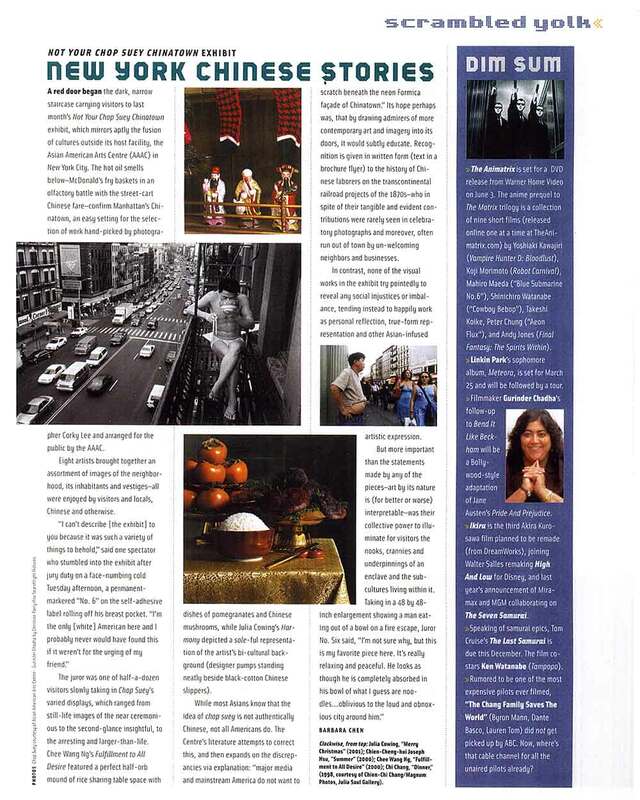 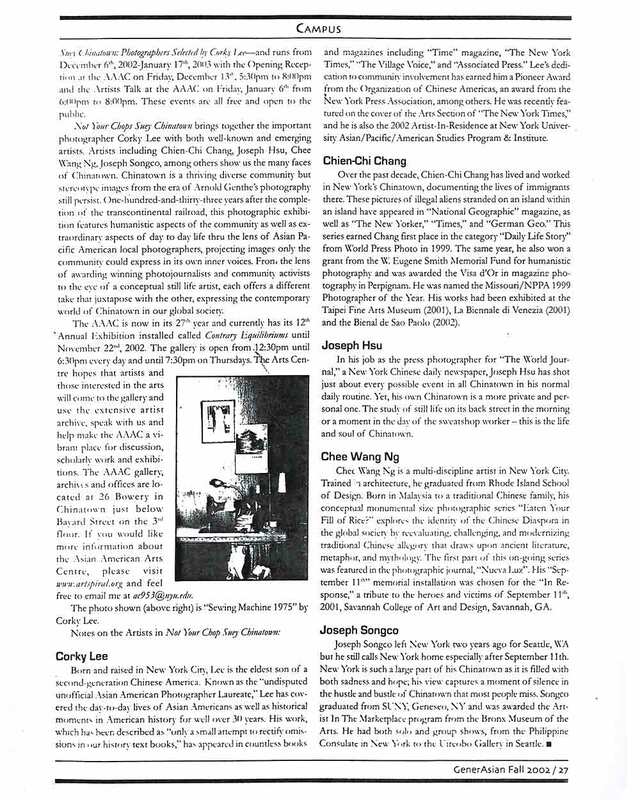 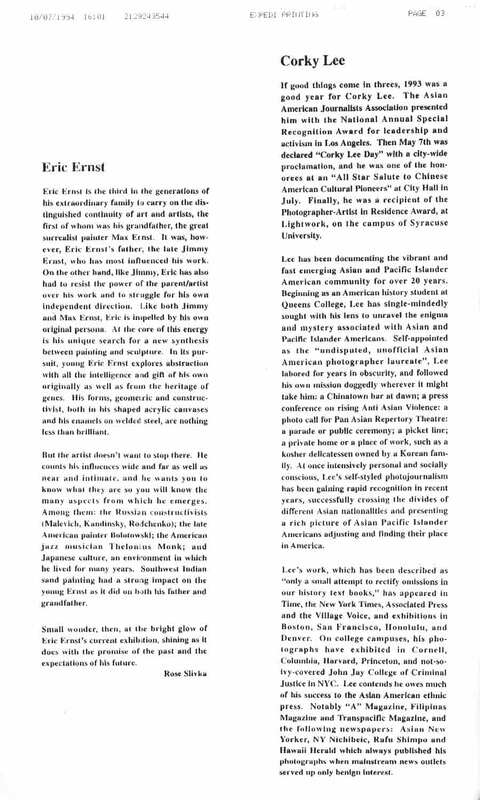 Artist Biography for "Photography by Corky Lee Art Work by Eric Ernst" at Pace University, New York City, from May 5-31, 1994. 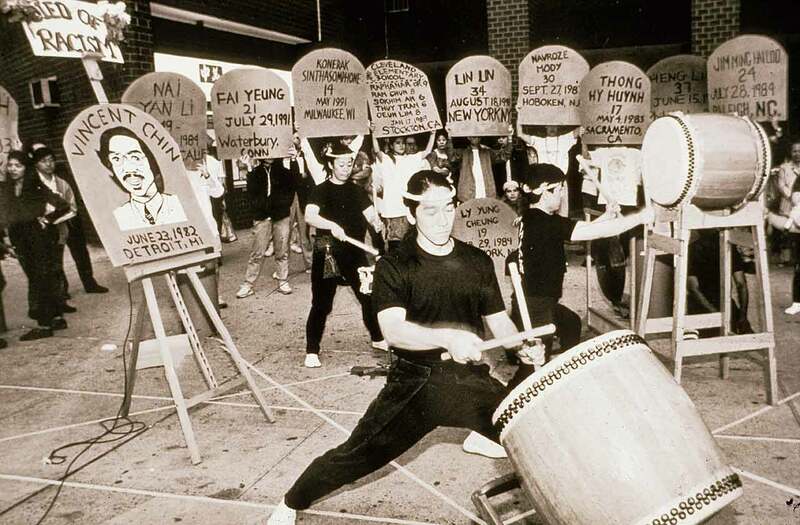 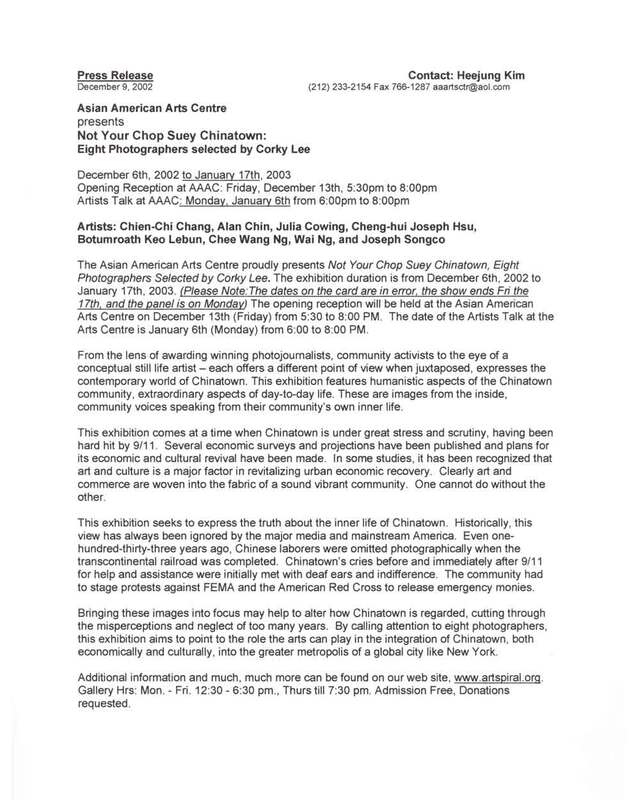 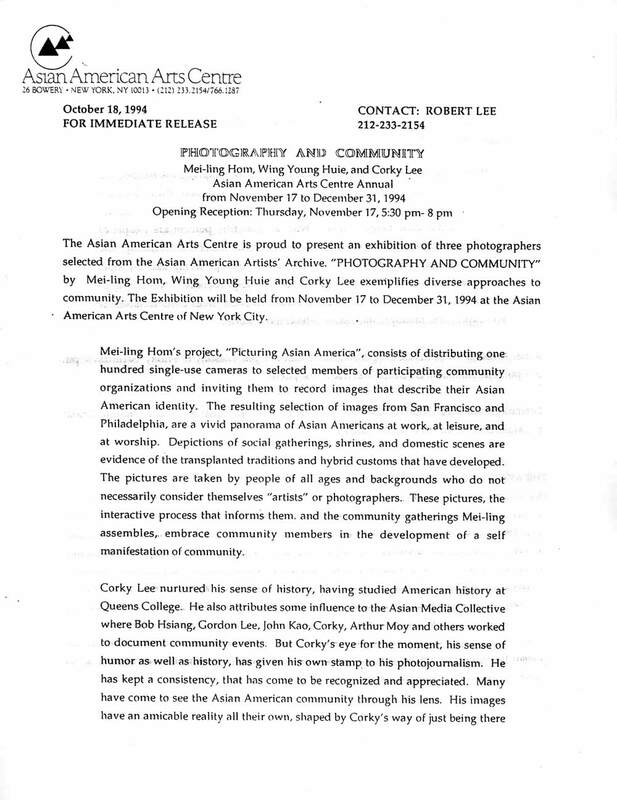 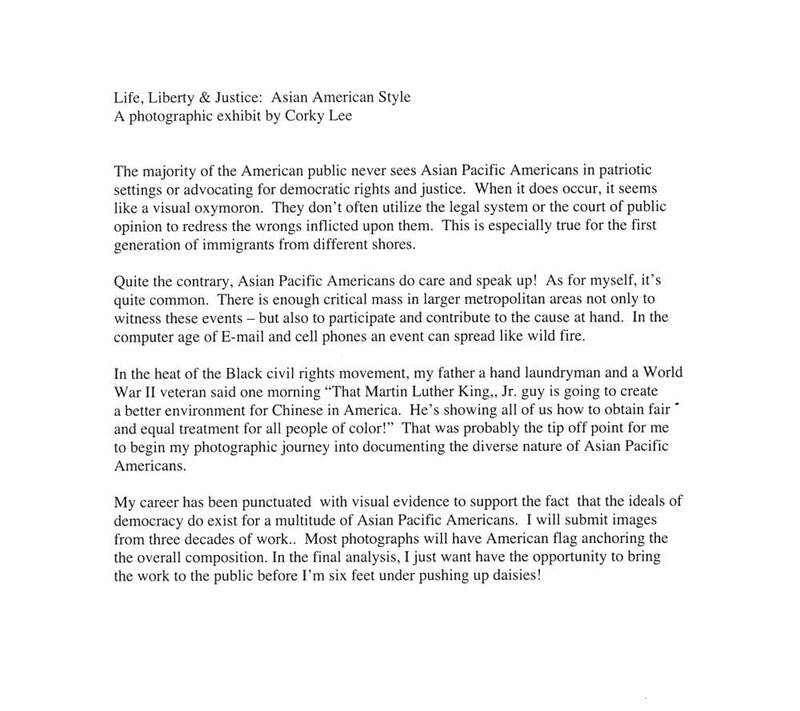 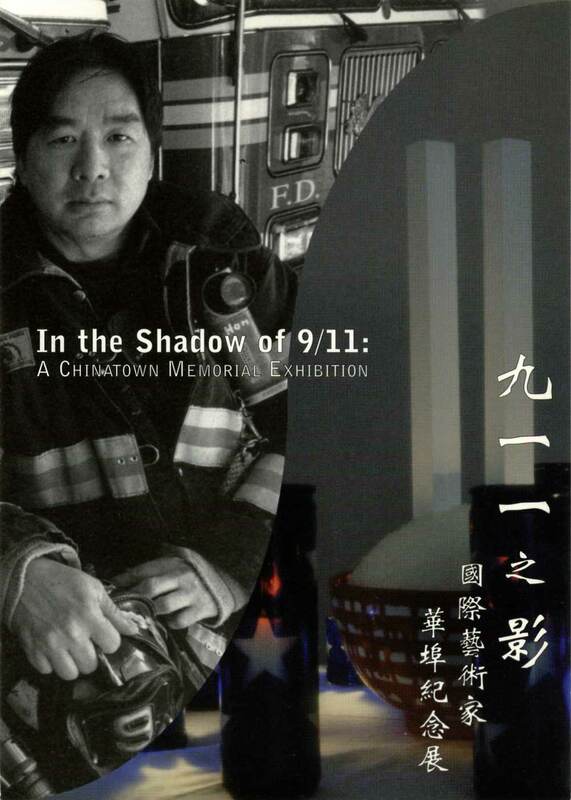 Exhibition press release for "Photography & Community" at Asian American Arts Centre, New York, City, from Nov 17-Dec 31, 1994, with artists Mei-ling Hom, Corky Lee and Wing Young Huie. 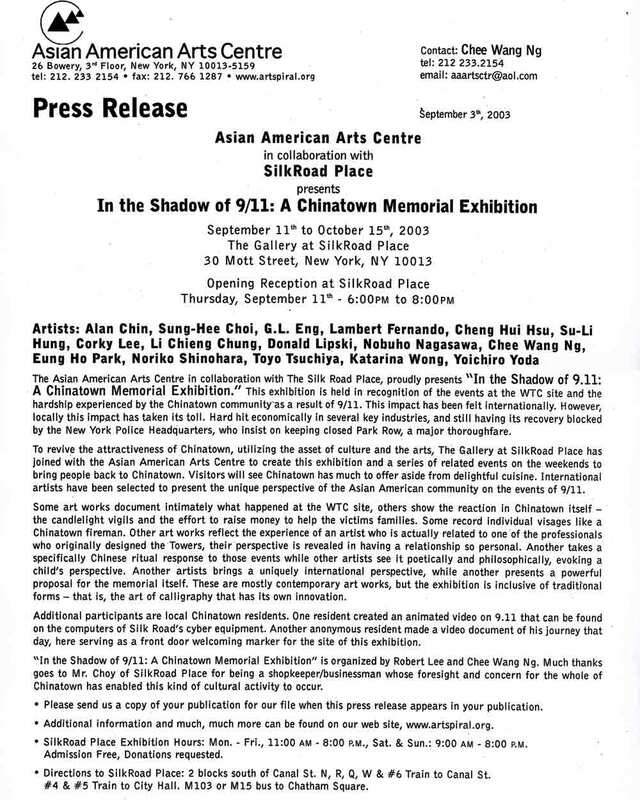 Press release dated Oct 18, 1994.